We operate with Non-Recourse Monetization (LTN) through Euroclear for the intention of Project Funding. LTNs are attractive because the process is very quick, and through Euroclear, clients do not have to deal with SWIFT fees. Euroclear is one of the most established financial transaction networks in Europe. This was founded by JP Morgan in 1968 and currently employs more than 3500 people. Those that are looking to monetize, discount, or have a non-recourse loan against an LTN Bond recognize this as the fastest way to do so. The Monetization of this LTN allows clients to have their ownership while they have a non-recourse loan annually against their LTN. 25% Non-Recourse Loan (this loan have a lower LTV but you don’t have to pay back). Note: All Non-Recourse Loan has a 5% commission paid out from each loan disbursements. It takes up to two weeks after a document is signed on SWIFT or Euroclear for anything to be finalized. It only takes a week after an Instrument Delivery. 21 days after confirmation and Euroclear Download of the LTN, we release first disbursement (20% of the loan). 30 days after the first disbursement we release the second disbursement (20% of the loan). The remaining 60% of the loan will be divided into ten (10) month and will be disbursed every 30 days after the second disbursement. Full loan disbursement in 12 months. 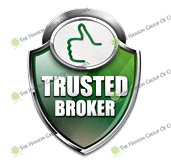 You Won’t Be Just Another Broker in a Chain. To Become a Hanson Group Broker Click Here Now! Once the contract is completed by both parties, the client must discuss with their institution the signing of the LTN. This is performed through free delivery by Euroclear. The bank will email a certified copy of the Euroclear execution receipt. Then, there are only three banking days in which the monetizer can grant a Non-Recourse Loan. The Monetizer must also agree that within fifteen days, before the year anniversary of the contract, that the LTN must be returned. To be Accepted: LTN HAS TO be on Euroclear. Loan 1st Disbursement: €4,750,000.00 20% of the loan in 21 days after received and authentication of the MT760. Loan 2nd Disbursement: €4,750,000.00 20% of the loan 30 days after the 1st disbursement. Loan 3rd Disbursement: €1,425,000.00 30 days after the 2nd disbursement. Loan 4th Disbursement: €1,425,000.00 30 days after the 3rd disbursement. Loan 5th Disbursement: €1,425,000.00 30 days after the 4th disbursement. Loan 6th Disbursement: €1,425,000.00 30 days after the 5th disbursement. Loan 7th Disbursement: €1,425,000.00 30 days after the 6th disbursement. Loan 8th Disbursement: €1,425,000.00 30 days after the 7th disbursement. Loan 9th Disbursement: €1,425,000.00 30 days after the 8th disbursement. Loan 10th Disbursement: €1,425,000.00 30 days after the 9th disbursement. Loan 11th Disbursement: €1,425,000.00 30 days after the 10th disbursement. Loan 12th Disbursement: €1,425,000.00 30 days after the 11th disbursement. For The Hanson Group Loan Calculator & LTV Click Here! Download the Long Term Note (LTN) Monetization Application & Agreement Here! Download the Non-Recourse Loan Agreement Here!